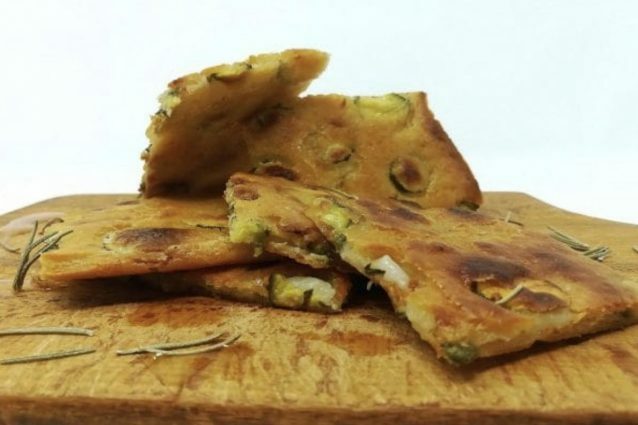 The zucchini flatbread is a simple and rustic dish made of zucchini cut into thin slices and dipped in a batter of water, flour, parmesan cheese, salt and pepper, then sprinkled with extra-virgin olive oil, put into mold and cooked in the oven. Wash the zucchini and cut them into thin slices, trying to keep the same thickness (1). Meanwhile in a large bowl pour the flour, Parmesan cheese, salt and pepper (2). Pour water and oil, stirring constantly with a whisk until you obtain a homogeneous batter (3). Add the zucchini to the batter and mix gently with a spatula to amalgamate everything (4). Pour the obtained mixture into a baking sheet lined with baking paper. Sprinkle the surface with a drizzle of extra-virgin olive oil (5). Bake in ventilated oven at 180 ° C for about 40 minutes, portion it into squares and serve the zucchini flatbread (6). Cut the zucchini into rounds of the same size so as to obtain a uniform cooking afterwards. Sift the flour so as to avoid the formation of lumps inside the batter. Adjust with the salt keeping in mind the addition of the Parmesan cheese to the recipe so as to avoid exceeding with sapid flavor. Add the water and oil a little at a time, stirring constantly with a whisk to mix everything evenly avoiding the formation of lumps inside the batter. Add the zucchini and mix gently with a spatula so as to cover them all with the mixture but without breaking them. Cover the baking sheet with baking paper to prevent the zucchini flatbread from sticking to it during cooking. Pour the mixture into the baking sheet and spread evenly to obtain a uniform thickness. Cook in a ventilated oven for an evenly cooking, then finish in grill mode the last two minutes to color the surface and make it crispy. 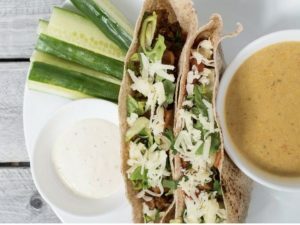 The zucchini flatbread can be preserved for two days by covering it with film and keeping it in the refrigerator.